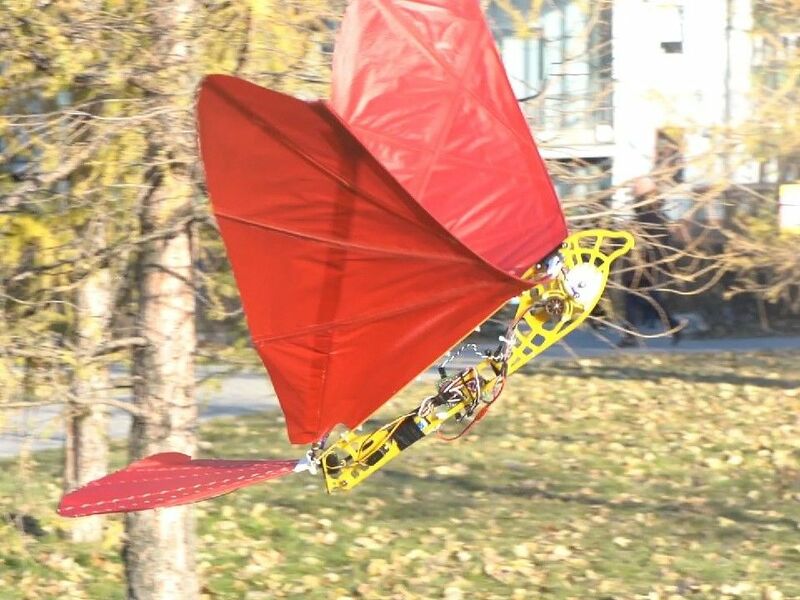 While much less common than quadcopters or airplanes, if you want a device that truly soars like a bird, you need an ornithopter. To help others make their own flying contraption, YouTuber Amperka Cyber Couch is outlining the build process in a video series starting with the one seen below. Construction is also very well documented in his project write-up, and a clip of it in-flight can be found here. 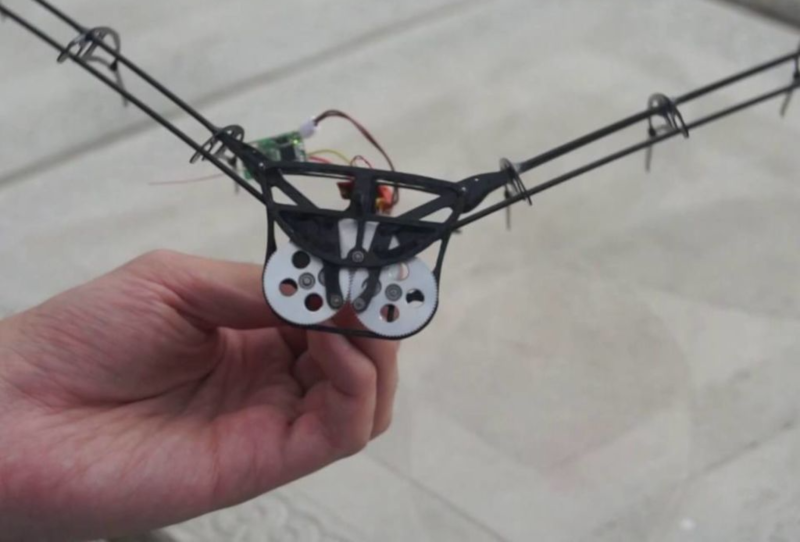 The bionic ‘bird’ uses a BLDC/ESC combination to turn a gearbox that flaps its wings, and an onboard Arduino Nano for control. Communication is via an MBee 868 wireless module, which links up to an Arduino Uno base station that provides its user interface.